So before roasting the cabbage he cut it in half and steamed it with some cumin, taking cue on how the leaves are prepared for mahshi. Afterwards, he took some dill and parsley and stuffed them between the leaves. He drizzled olive oil, sprinkled salt, pepper, and coriander. In a roasting pan, he then roasted the cabbage at 400F for about an hour and basted it with some chicken broth we had in the fridge. The result? 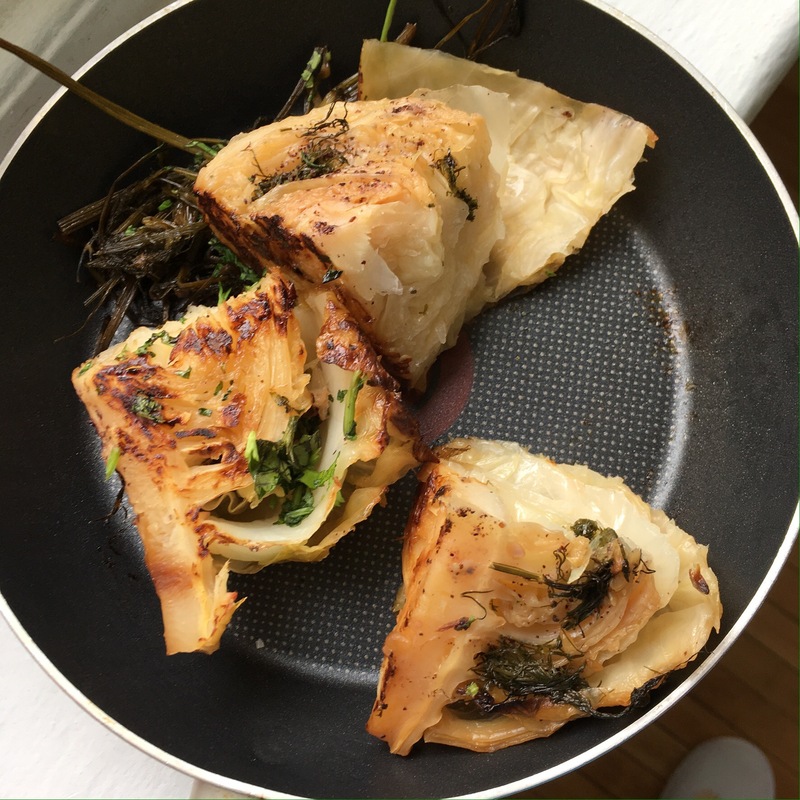 Delicious roasted and caramelized cabbage with flavours reminiscent of mahshi. We served it with tahina and I made a quick dressing with pomegranate molasses, balsamic vinegar, dill and olive oil. 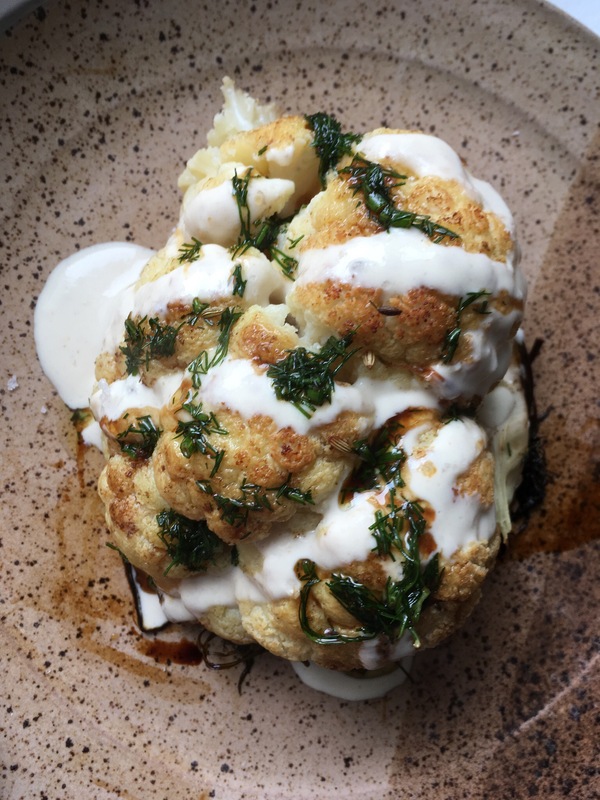 The next day I didn’t steam the cauliflower, I simply roasted it over a bed of dill with the same mixture of spices and added some fennel seeds.